Last August 7, Vice Ganda became a trending topic when he made fun of their rival network's slogan wherein he asked one of the contestants why the talents of GMA network were transferring to ABS-CBN. 'Kung sinasabi ang GMA ay 'where you belong', bakit sila naglilipatan?' he said. 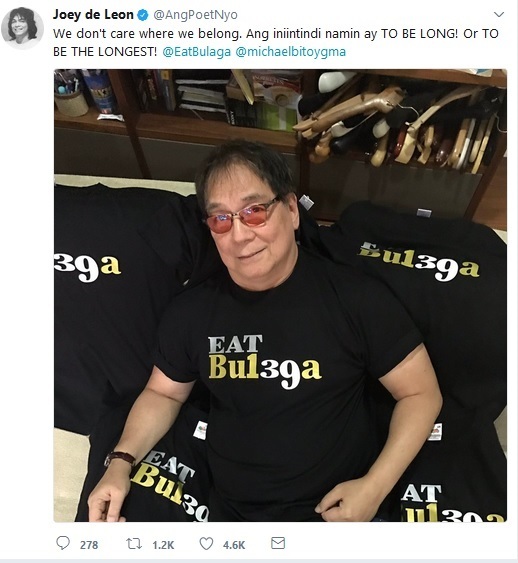 On Monday, August 21, Joey de Leon took to his twitter account and wrote: "We don't care where we belong.Ang iniintindi namin ay TO BE LONG! Or TO BE THE LONGEST!" 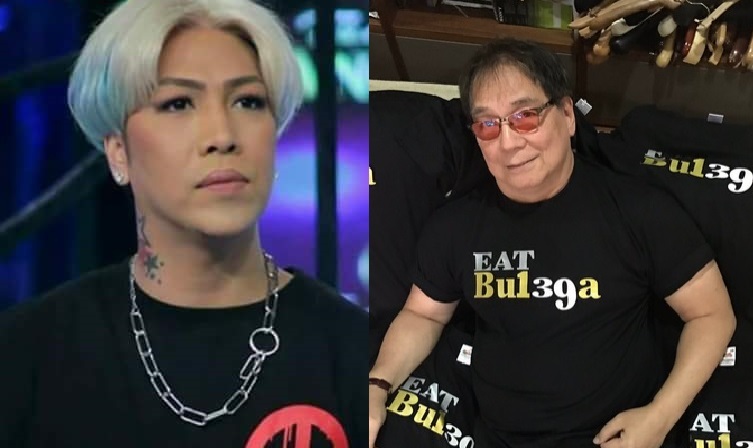 Comedian Michael V. agreed to Joey's statement, saying, "Sabi nga ng millenials...TOMOOO!." Joey de Leon has been very vocal in defending AlDub on social media since the loveteam became popular.He was also known for posting controversial remarks during AlDub's reign which appeared to allude to Vice Ganda.